In 2006, vaquita, a diminutive porpoise making its home in the Upper Gulf of California, inherited the dubious title of world's most endangered marine mammal. When international crime cartels discovered a lucrative trade in the swim bladders of totoaba, illegal gillnetting went rampant, and now the lives of the few remaining vaquitas hang in the balance. 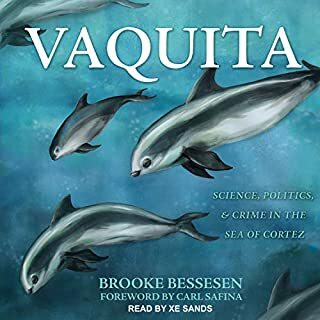 Author Brooke Bessesen takes us on a journey to Mexico's Upper Gulf region to uncover the story. She interviewed townspeople, fishermen, scientists, and activists, teasing apart a complex story filled with villains and heroes. 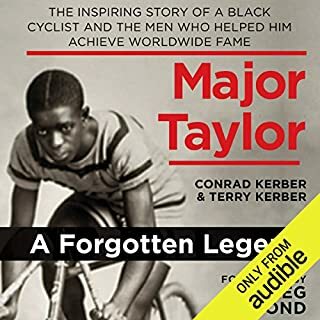 Major Taylor's story should be a prime read for anyone who is interested in sports, race, American history, and our near-term future. Major Taylor struggles with all of these have sad echoes in our current situation in America. The writing in the book is a bit overwrought, and could have been a bit more straightforward. Also although the readers voice and method of narration was excellent, the frustrating frequency with which he would mispronounce even basic words, let alone place names and French words, was all too prominent. He's an excellent reader, with a great future, but needs to do a bit more research and preparation before the read. Similarly the editing of the performance left much to be desired. Nonetheless, with this set of caveats, I would strongly recommend this book! 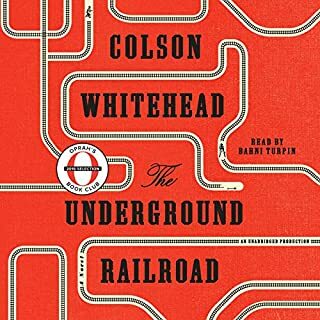 told by a master storyteller and read by a fantastic talent. absolutely worth the read.